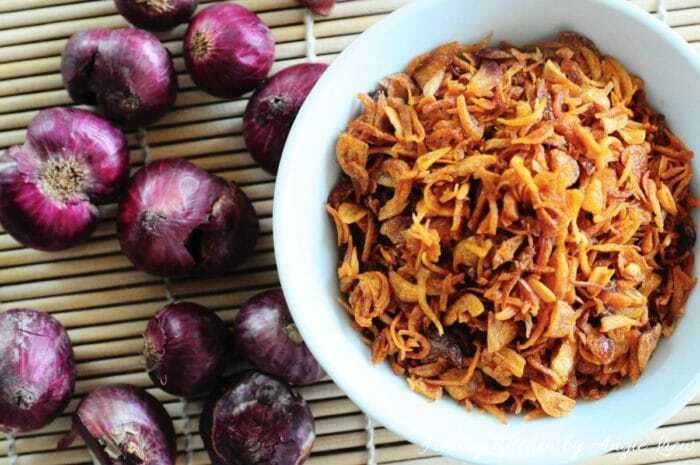 Crispy fried shallots is one of the key condiments used in Asian cooking. 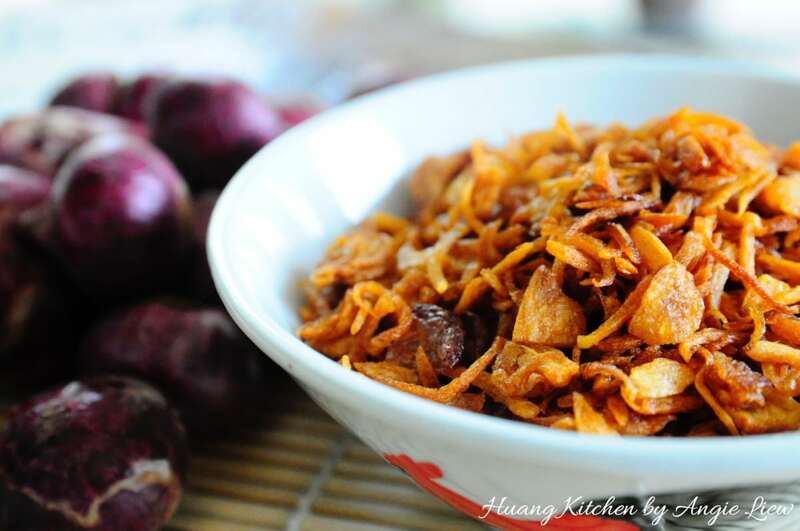 It brings a light crispiness, as well as a remarkable aromatic flavour to any dish. 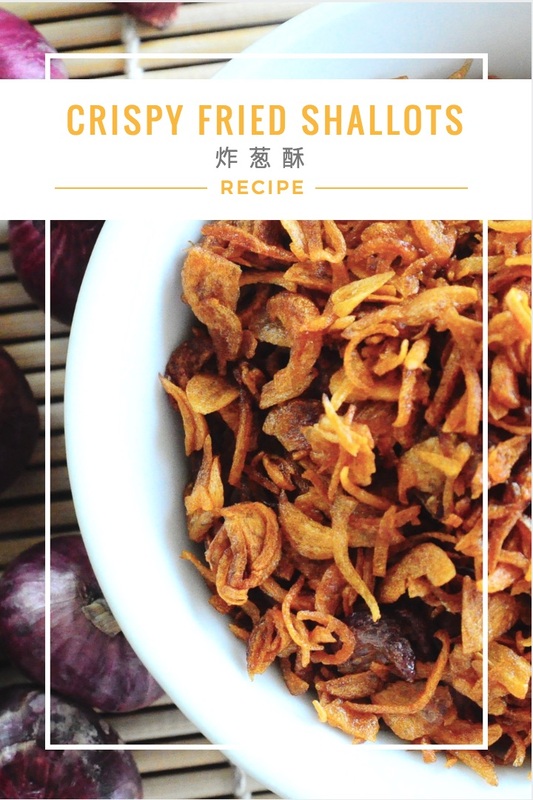 This fried shallots recipe was taught to me by my beloved mum who always made her own crispy fried shallots for all her cooking at home. Because of their extraordinarily sweet nature, shallots make a fantastic garnishing when sliced thinly and fried to perfect crispness with a lovely golden colour. They add loads of flavour and fragrance to just about any dish. They taste great with fried rice, noodles, soups, congee and snacks. 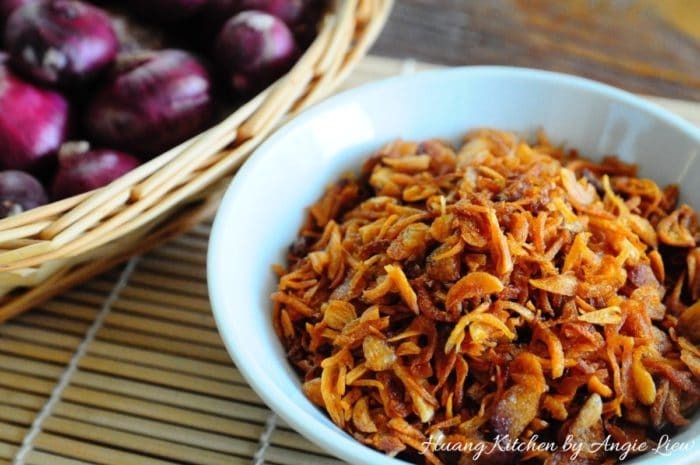 Fried shallots is definitely one of the most popular garnishes. 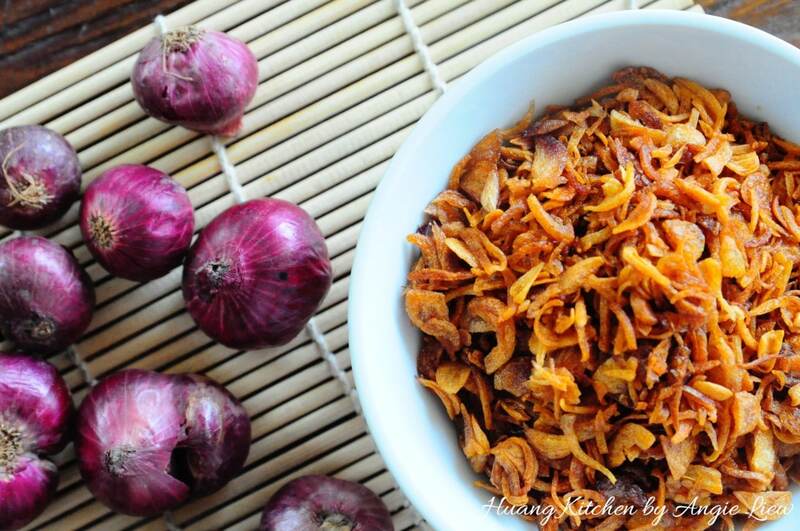 Crispy fried shallots is an important condiment in Asian cooking. It adds a light crispiness and a distinctive aromatic flavour to any dish. 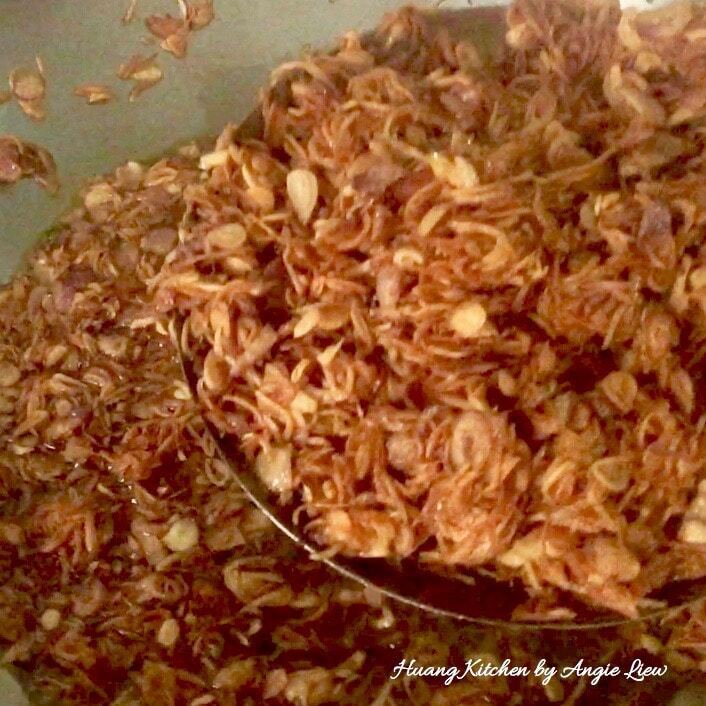 This is my family heirloom fried shallots recipe, definitely a must-have item in every kitchen! 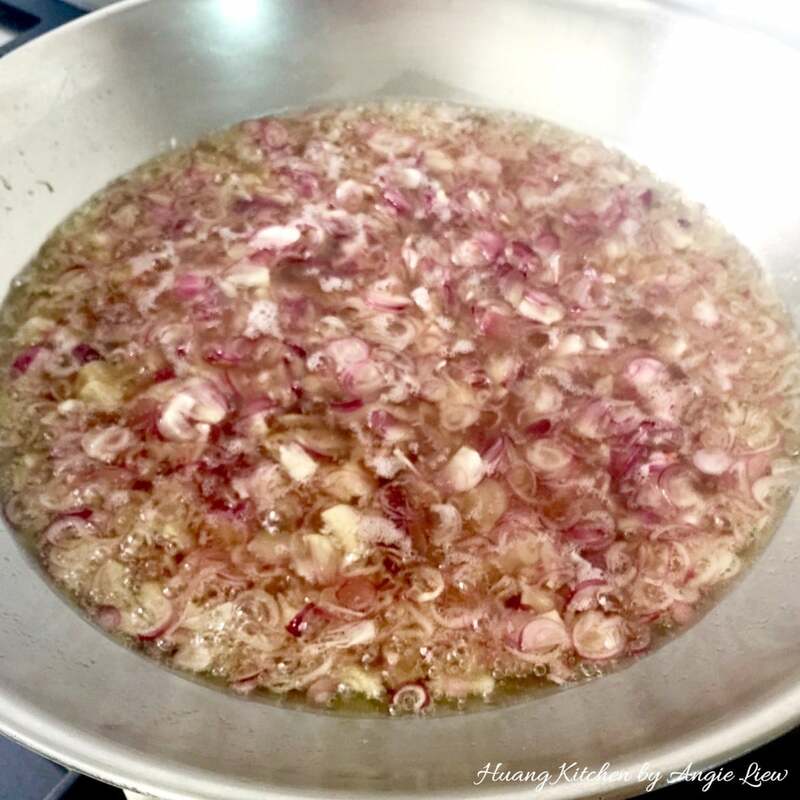 The fragrant shallot oil can also be kept and used in cooking. First, peel skin off the shallots. Then briefly wash peeled shallots in salt water. 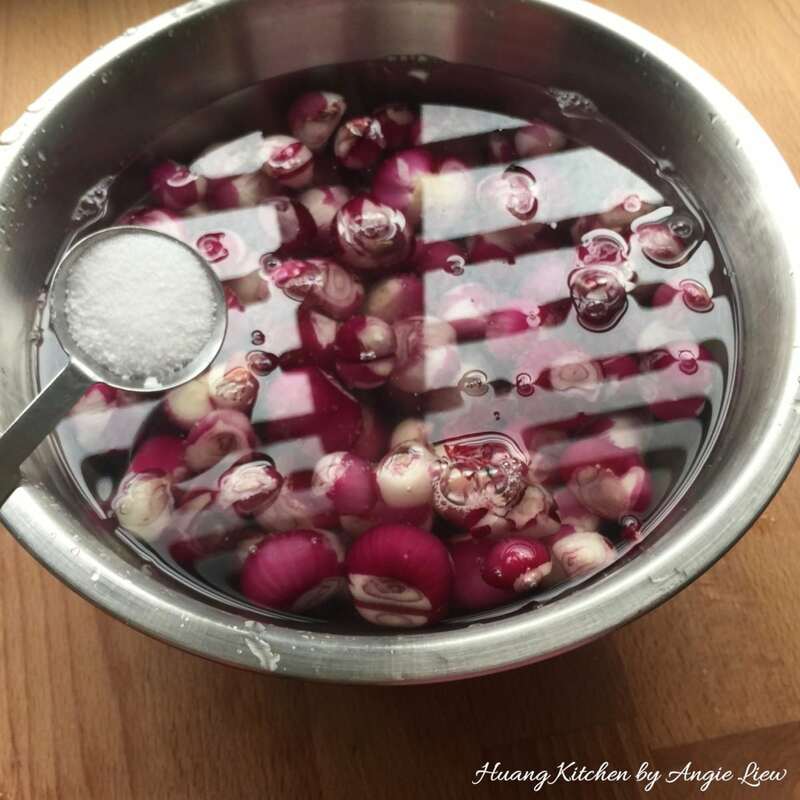 The salt adds flavour and adds crisp to shallots when fried. Drain well. 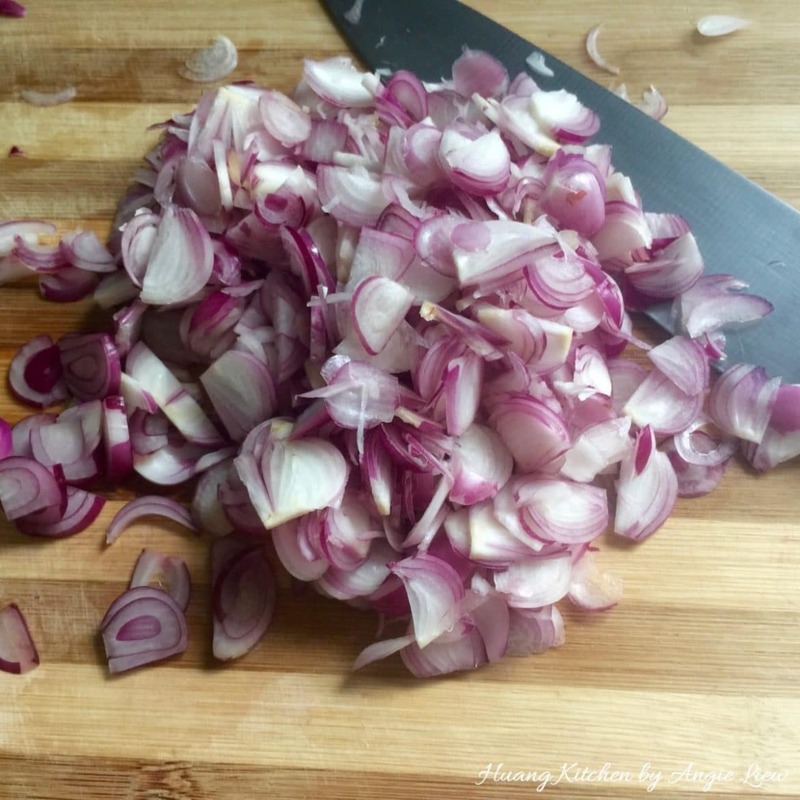 Slice shallots thinly and uniformly (about 2-3mm thickness) to ensure even cooking. Add enough oil to wok and heat over medium heat. Test oil temperature using a wooden chopstick. Slowly add in the sliced shallots and cook gently, stirring occasionally, for about 10-12 minutes. Also stir around the edges of the wok to avoid burnt shallots. When more than half of shallots have turned golden brown, turn off the heat. Continue to cook in the hot oil until all shallots gradually turn golden brown. 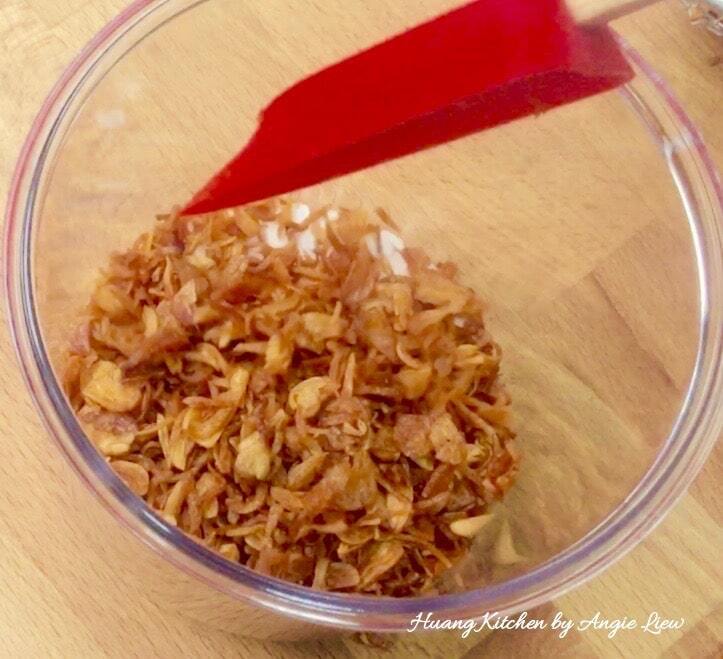 Remove fried shallots from oil using a slotted spoon. 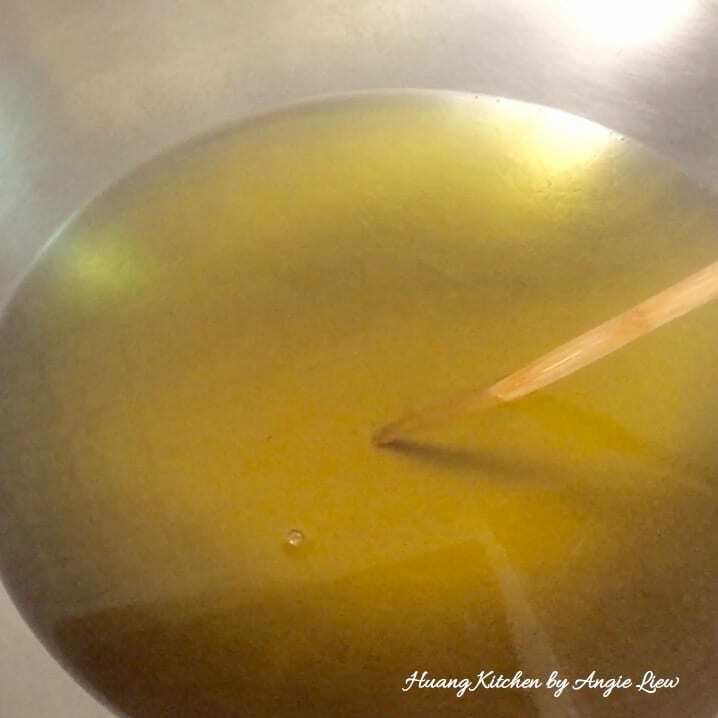 Keep the shallot infused oil in a covered container. Transfer to a paper towel lined tray to remove excess oil. Using a spatula, lightly even out the fried shallots to minimise overlapping. When fully cooled, store in an airtight container, preferably in the refrigerator. And we're done! This favourite condiment can be used to garnish almost any kind of food. So Enjoy! Ensure the oil is pre-heated to medium heat before you add the shallots. Another way to test oil temperature: add a piece of shallot in the oil and it should sizzle lightly. The actual time for frying shallots will depend on the oil temperature. Observe the colour of shallots for doneness. Avoid over-frying, as burnt shallots which will taste bitter. The heat of the stove may need to be adjusted during cooking to ensure it is always at optimum heat. Keep shallot oil which has been infused with the wonderful aroma of shallots in a covered container and use it in your cooking as it adds a great flavour to the food.